"L’anxiété, le mal de la menace imaginaire" can be viewed (VIDEO) on the Radio-Canada website. Dr. Tina Montreuil is an Assistant Professor in the department of Educational and Counselling Psychology and an Associate Member of the department of Psychiatry at McGill University. 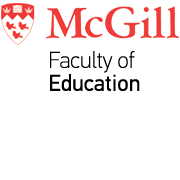 She is also a Regular Investigator of the Research Unit of Children’s Psychosocial Maladjustment (GRIP) at McGill. As a licensed member of the Quebec Order of Psychologists and a credentialed member of the Canadian Association of Cognitive-Behavioural Therapies, In 2013, Dr. Montreuil was awarded the title of "Champion" in Mental Health in the "Research" category from the Canadian Alliance on Mental Illness and Mental Health, and was more recently included in TheTop 150 Leading Canadians for Mental Health by CAMH Difference Makers. Her C.A.R.E. Research group is promotes school-based mental health and well-being.